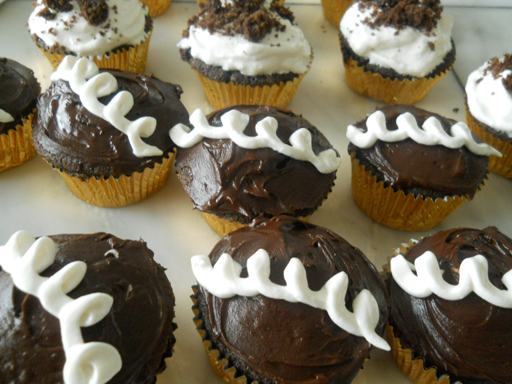 Okay, so you have the cupcakes and the filling. Now all we need is the icing! I threw together a quick and easy icing from one my favorite cookbooks, Baking by Dorie Greenspan. 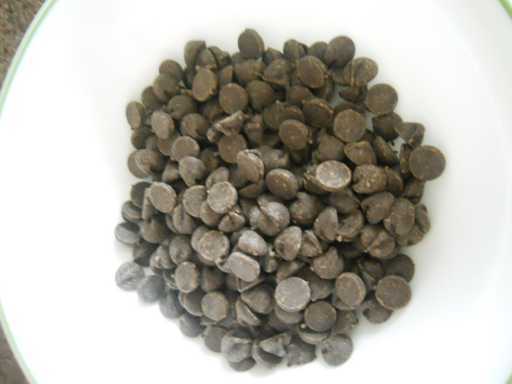 Melt the chocolate in the microwave, stirring until smooth. 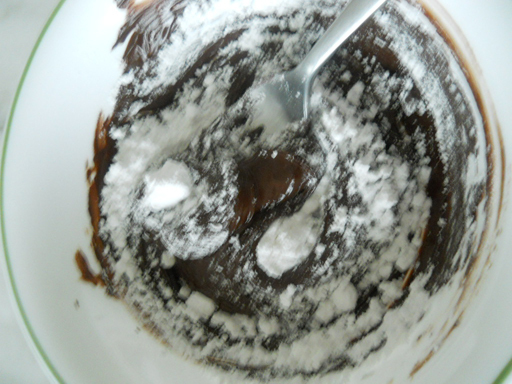 Let cool slightly and stir in the sugar. 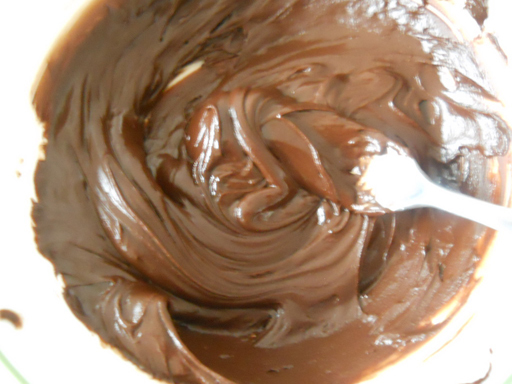 Then stir in the butter, until everything is smooth and glossy. Mine was spreadable immediately, but if your kitchen is warm you might need to put it in the fridge for a bit. 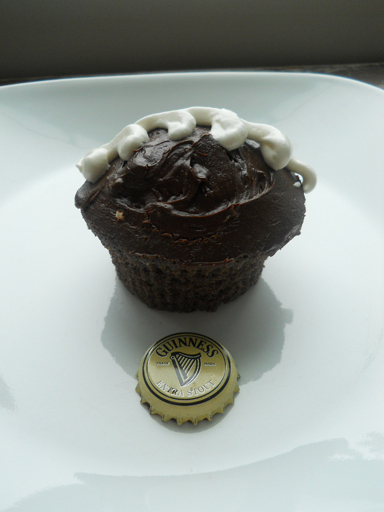 Cut a small core out of each cupcake with a small paring knife, put the cores in a bowl – you’ll need them again later. 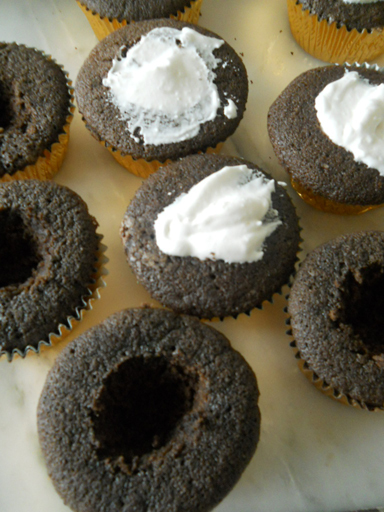 Fill the holes with fluff and use some of your cut pieces to cover the top of the fluff on each cupcake. Ice half of the cupcakes with the frosting, ice the rest with the remaining marshmallow fluff, reserving 1/2 c. of fluff. Sprinkle the fluff-topped marshmallows with the leftover cake. 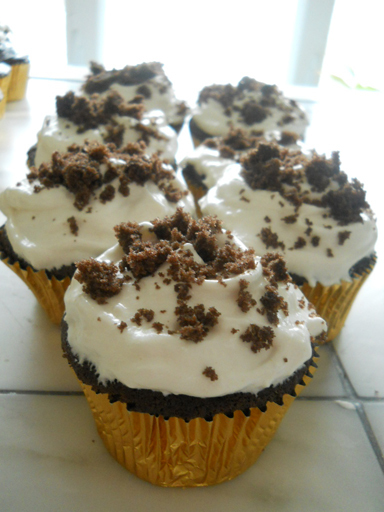 Fill a piping bag with the reserved fluff and pipe it in swirls over the chocolate frosted cupcakes. Next time I’m going to try and find some dessert glasses shaped like pints, and put the cake in the bottom with a “head” of fluff on top. 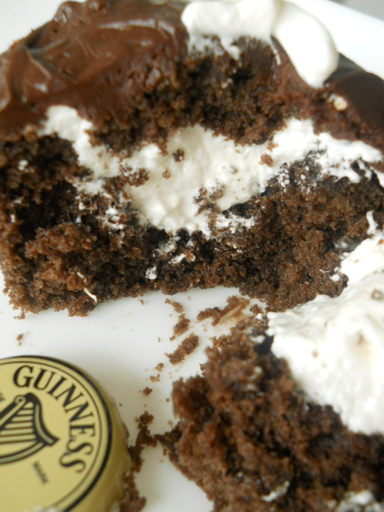 Categories: Beer and Wine with Chocolate, Chocolate Cakes Big and Little, Chocolate Fillings and Icings, Uncategorized | Tags: cupcakes, dessert, food, Guinness, Hostess, stout | Permalink.